I Love You More Than Carrots: Flashback Friday.. Wa-Hoo! Alright friends.. it's that time again. Here's this weeks edition of Flashback Friday! Anybody else love/obsess over these guys back in the day? C'mon. I know you have the sleeping bag, the matching bed linens, the playing cards and the Jonathan Knight doll. Wait a minute. You don't? Maybe that was just me. I can't say much for their recent comeback, as they've pretty much fallen off of my radar after the second grade, however, I have been known to bust out a pretty stellar rendition of "Step By Step" after a few bombay tonics. "Ooooh Baby!" I'd rather not divulge how many summer days I spent making T-shirts with my friends in the backyard. My favorite shirt ever created was actually done by my Momma. It was a peach colored t-shirt (with matching leggings, of course) that was adorned with little circular mirrors edged in puffy paint. Obviously there were many other swirls of puffy paint strategically placed throughout the t-shirt. Let me tell you, boy, was I stylin! 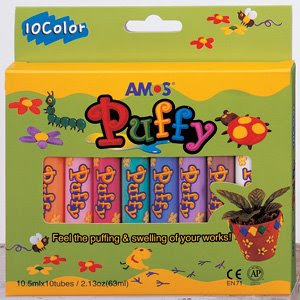 I might even condone the use of Puff Paint in later adulthood. Everyone's weekend kickball league needs a creative team shirt, right? Legos were for sissies. I grew up with this tin can of fun. How angry did I get when I ran out of the tiny connector pieces or didn't have enough wheels? Needless to say, my set of Tinker Toys was made of wood. My brother's set, circa the mid-late nineties was made of plastic. Loser. My kid-idol. I wanted to be her. Hankerchief around the knee and all. When Henry was finally able to adopt Punky after he rebuilt his photo studio that burned to the ground, I may or may not have jumped for joy! When I wasn't running around the house trying to be Punky, I was running a muck, much like my other childhood idol, Pippi. I'm not ashamed to admit I still know every single word to her themesong and can remember begging and pleading with my mom to let me borrow "just one more" of her VHS tapes from the local library. One of my all-time favorite episodes? "Scrubbing Day"
And last but certainly not least, who remembers the myth, "if you mix pop rocks with soda, your stomach will explode!?" Oh, the things they'll tell children. Mmm. Sugar rush. Happy Friday! Keep wishin' some good juju the way of the 'Cats! Goooo 'NOVA! Have a fabulous weekend and stay tuned for the new and improved (hopefully) I Love You More Than Carrots! 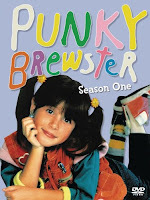 haha this post is so funny bc hubs and I were talking about punky brewster and pipi the other night! I had I heart Joey earrings and punky was my hero! oh i think we'll become fast friends! i just read your about me and i love you already! thanks for stopping by and nice to "meet" ya! Hi! 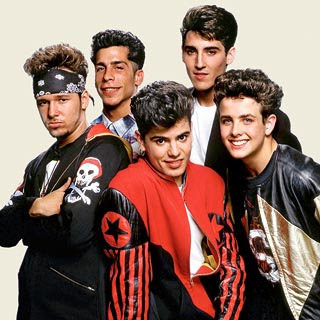 Thanks for your message, your blog is adorable - NKOTB, oh yes...they took my heart in the 80's and I never got it back, lol! Omg I LOVE your blog!!! Pop Rocks, Punky B AND NKOTB???? I LOVE your flashback friday! You are a girl after my own heart! I loved Pippi Longstocking - I remember seeing the movie in theaters. I work in oncology research, so we really have a lot in common! Can't wait to read more!